This study was performed to assess the effects of vitamin D and calcium supplementation on the metabolic profiles of vitamin D insufficient persons with type 2 diabetes. In a parallel designed randomised placebo-controlled clinical trial, a total of 118 non-smoker individuals with type 2 diabetes and insufficient 25-hydroxyvitamin D, aged >30 years, were recruited from the Isfahan Endocrine and Metabolism Research Centre. Participants were randomly assigned to four groups receiving: (1) 50,000 U/week vitamin D + calcium placebo; (2) 1,000 mg/day calcium + vitamin D placebo; (3) 50,000 U/week vitamin D + 1,000 mg/day calcium; or (4) vitamin D placebo + calcium placebo for 8 weeks. A study technician carried out the random allocations using a random numbers table. All investigators, participants and laboratory technicians were blinded to the random assignments. All participants provided 3 days of dietary records and 3 days of physical activity records throughout the intervention. Blood samples were taken to quantify glycaemic and lipid profiles at study baseline and after 8 weeks of intervention. 30 participants were randomised in each group. During the intervention, one participant from the calcium group and one from the vitamin D group were excluded because of personal problems. Calcium–vitamin D co-supplementation resulted in reduced serum insulin (changes from baseline: −14.8 ± 3.9 pmol/l, p = 0.01), HbA1c [−0.70 ± 0.19% (−8.0 ± 0.4 mmol/mol), p = 0.02], HOMA-IR (−0.46 ± 0.20, p = 0.001), LDL-cholesterol (−10.36 ± 0.10 mmol/l, p = 0.04) and total/HDL-cholesterol levels (−0.91 ± 0.16, p = 0.03) compared with other groups. We found a significant increase in QUICKI (0.025 ± 0.01, p = 0.004), HOMA of beta cell function (HOMA-B; 11.8 ± 12.17, p = 0.001) and HDL-cholesterol (0.46 ± 0.05 mmol/l, p = 0.03) in the calcium–vitamin D group compared with others. 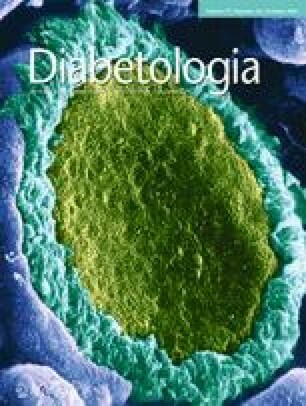 Joint calcium and vitamin D supplementation might improve the glycaemic status and lipid profiles of vitamin D insufficient people with type 2 diabetes. The authors would like to thank the Food Security Research Center of Isfahan University of Medical Sciences. This paper is based on an MSc thesis (190136) from Isfahan University of Medical Sciences. Marjan Tabesh was the author of the MSc thesis. Marj. T contributed to conception, design, statistical analyses, data interpretation, and manuscript drafting for this study. Marj. T, Mary. T, LA and EF contributed to the data collection and manuscript drafting. All authors approved the final manuscript for submission. AE is the guarantor of this work.